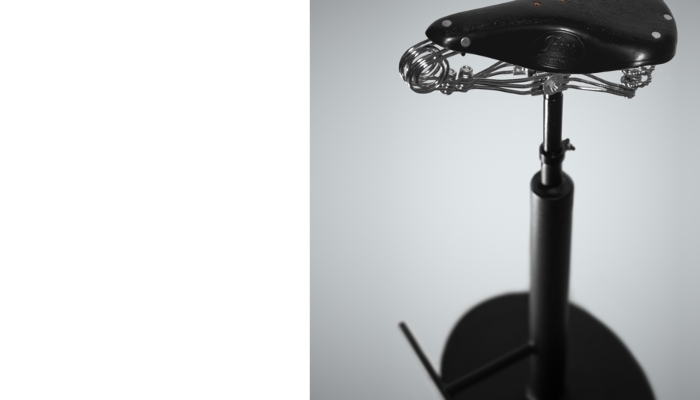 Bar stool with with texturized black powder coated paint fitted with a Tabor 240 black saddle. It's possible to change saddle model/colour, by request. 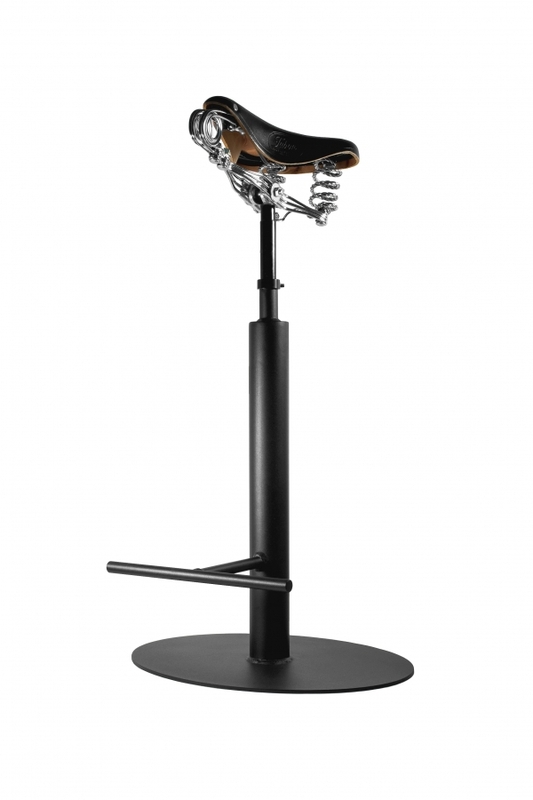 Tabor Bar Stool with texturized black color.